A U.S. airstrike in Somalia killed two civilians — an unknown woman and child — but was not reported for more than a year. 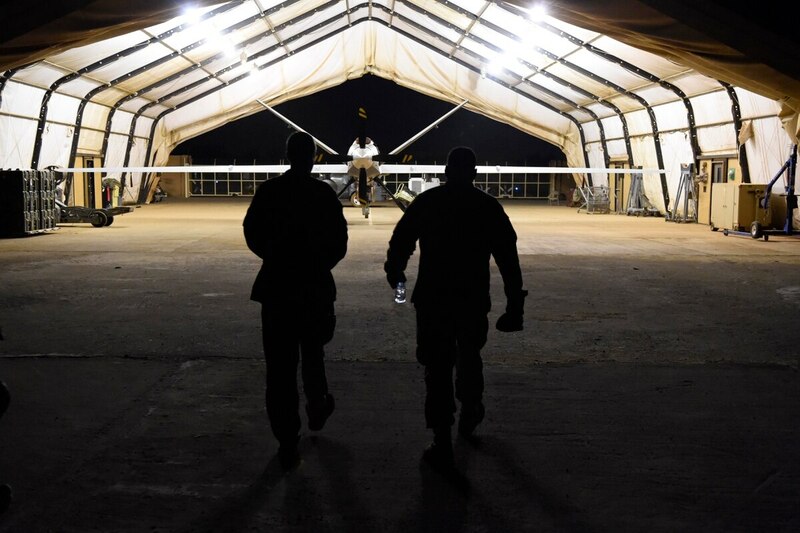 U.S. Africa Command was notified March 29 that a post-strike assessment found credible evidence that two civilians were killed in an airstrike a year ago, officials said Friday morning. The finding was not properly reported to higher headquarters, AFRICOM said, and it is only coming out now after an internal review. The unknown woman and child were killed by an airstrike while traveling in a vehicle with four Al-Shabaab militants on April 1, 2018, near El Burr, in central Somalia. The revelation was brought forward by AFRICOM after its analysts conducted a commander-directed review of airstrikes conducted in Somalia since 2017. That review was ordered due to a recent increase in airstrikes and reports by Amnesty International that civilian casualties have gone unreported. The casualties AFRICOM brought forward are not one of the five alleged instances Amnesty cited in its March report. The subordinate organization was one that conducts counter-terrorism operations in Somalia, Olson said. In the immediate aftermath of the airstrike, it was believed that there were no civilian casualties. But by summer 2018, a reassessment determined that allegations that a woman and child had been killed were deemed credible. Through a mix up, that was never reported to higher headquarters until after Marine Corps Gen. Thomas D. Waldhauser, AFRICOM commander, ordered the internal review on March 22. Somalia’s Danab brigade is being directly trained by U.S. military forces. Because AFRICOM was unaware of the assessment, senior military leaders told Congress during testimony and the media during interviews that U.S. forces have caused zero civilian casualties in Africa. The commander-directed review is still ongoing, officials said. “While it is believed this is an isolated incident, due diligence is being applied. We take the responsibility to be transparent very seriously," Karns said. “AFRICOM is a learning organization and will apply lessons learned to ensure there is not a repeat occurrence." The federal government of Somalia has also been notified of this newly learned information and AFRICOM is working out details on what will happen next, including whether restitution will be paid to those affected, officials said. AFRICOM stated that it takes measures to minimize civilian casualties and has processes in place to mitigate these instances. The command has executed 28 airstrikes in Somalia in 2019, compared to 47 in all of 2018 and 35 in 2017. Olson said that before a target is struck, all-source intelligence is collected and fused to gather a full picture. Prior to a strike, he added, the military officials comply with the Law of Armed Conflict, discriminate the target from its background and take into account military necessity and the doctrines of proportionality to minimize collateral damage. Olson also pushed back against the allegation that the U.S. military considers all males of fighting age to be militants. “We use information before any strike is taken to confirm, to the best of our ability ... that any person we are striking is associated with the al-Qaida-affiliated Al-Shabaab in Somalia,” he said.